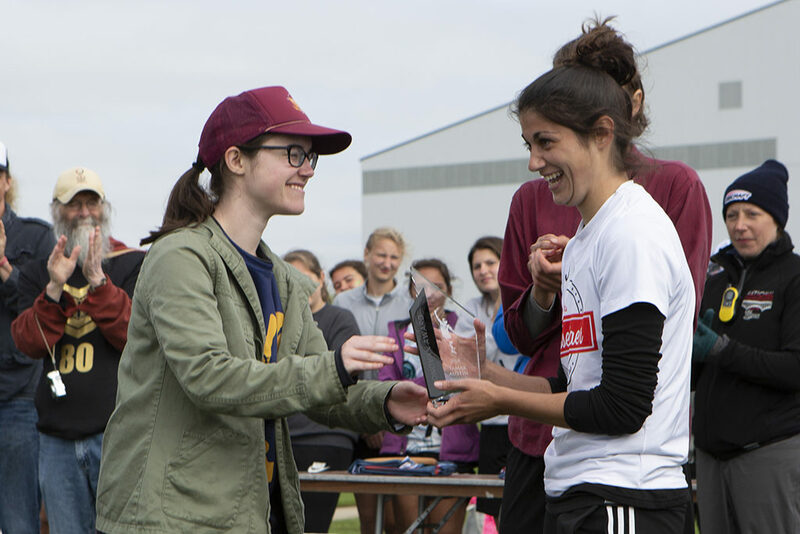 The 2018 Donovan Award in the Women’s Division, presented by the National Ultimate Training Camp, goes to RPI senior Tamar Austin. Austin’s impact on RPI and the Metro East is hard to overstate. She has been a key player both on the field and off, developing Strut into the Nationals-caliber team they are today. She has helped lead Strut from a tiny team on the verge of disbanding when she arrived as a freshman to a team representing the Metro East at D-III Nationals and guided them a quarterfinals appearance in her senior year. Strut is not simply experiencing an “up” year in 2018 but rather reaping the hard work of Austin and others in forming a lasting D-III program. By pouring her energy into building both an ultimate team and a community for RPI, Austin has helped younger teammates improve their ultimate IQ and their sense of belonging to a team. She pushes the team to be the best they can be and holds herself to the same expectation in practice, in the gym, and beyond. This extends for spirit and respect as a competitor; as mentioned in her nomination, opponents look forward to playing against her and are disappointed when she can’t attend a tournament. Even at Nationals, Austin brings something a little bit extra and special to the RPI team. 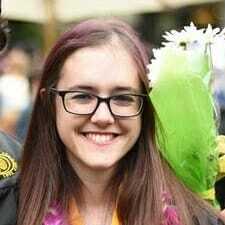 While she missed pool play on Saturday to graduation, she was able to make it in time to bolster her team in the prequarters match against Mount Holyoke. Her arrival had a “spiritual, energetic impact” as RPI coach Garrett Clay mentioned; her positivity and energy buoying the rest of the tired, competition-worn RPI squad. Austin has given her energy, time, and wholehearted commitment to ultimate at RPI, leading the team to a new identity, level of play, and camaraderie. As her team puts it, she is able to play at a high level “due to her skill, [but] her ability to play point after point at a high level comes down to her heart.” As the winner of the 2018 Donovan Award, her leadership will serve as an example for D-III teams of what is possible with a true passion for the game. 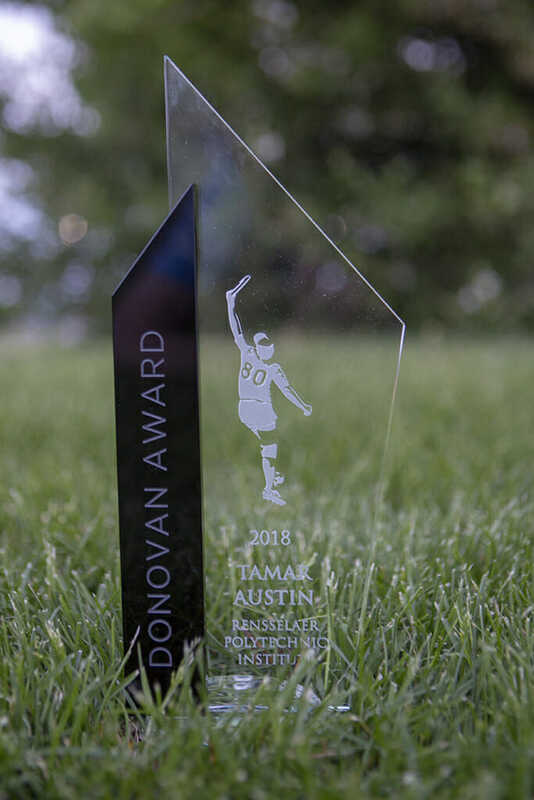 Comments on "2018 Donovan Award Winner: RPI’s Tamar Austin"